Smelly feet may often seem to be more of an inconvenience than an actual symptom. But it is a problem that should be viewed from a medical perspective. Smelly feet is not a problem for every person. In fact some people can wear closed shoes, with no socks for several hours on a hot day and not experience any bad foot odor. While others may use a closed shoe for just a short period without apparently perspiring on the feet and the odor is horrific. So why do some people suffer with smelly feet and others don’t? The medical term for smelly feet is bromodosis. It is a condition, more of a symptom rather than a disease. By understanding the normal physiology of the skin of the feet and factors that contribute to body odor in general and foot odor specifically, you can identify ways in which to combat this problem. There is no quick fix cure for smelly feet. A number of lifestyle tips and everyday home remedies can be helpful but where necessary, smelly feet may require medical treatment for the underlying cause. Every person has a natural body odor which may fluctuate for a number of reasons. The feet is no different. It also has an odor. But an offensive odor is a problem for many people. It can prove to be embarrassing, contribute to low self esteem and even affect interpersonal relationships. The feet are more prone to offensive odors due to a number of factors that may not exist to the same degree elsewhere on the body. The social, occupational and cultural practices of wearing certain footwear is one of the primary factors responsible for smelly feet. Sweating is a normal part of the body’s mechanism to regulate its temperature. Naturally areas that are covered and enclosed will perspire more than those parts of the body that are uncovered and exposed to air. Sweat is composed of a number of substances some of which may have an offensive odor naturally or be broken down further by microbes which then release and offensive odor. The warmth and darkness of the covered feet provide an ideal environment for microbes such as bacteria and fungi to thrive. With regular and proper personal hygiene the environment on the skin of the feet is disrupted. This has both advantages and disadvantages for smelly feet. Firstly, proper hygiene eliminates some of the microbes that are responsible for breaking down sweat and producing offensive odors. Secondly, excessive hygiene by people who are concerned about foot odor can disrupt the environment on the skin to the point where other problems, like fungal infections, may arise. This may further worsen the condition. The primary function of sweat is to provide a cooling effect when the temperature of an area, or the entire body, rises too high. With the feet being covered by socks and shoes, the heat buildup within footwear can stimulate sweating. Therefore most people will experience foot sweating. Some people sweat excessively (hyperhidrosis) on certain parts of the body, with the feet being one of the problem areas. Wearing shoes that allows for ventilation hastens the evaporation of sweat. Open shoes are therefore ideal for people with sweaty feet. Socks can also help the situation by absorbing sweat but can also be a problem in that it retains the moisture. Try to ventilate the feet as often as possible. Go barefoot and use open shoes as often as possible. 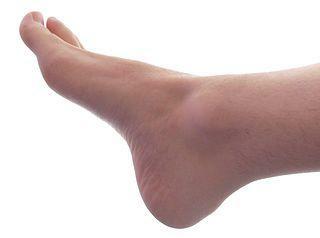 Most infections of the feet are superficial, meaning that it is primarily restricted to the skin on the feet. A fungal infection of the feet (tinea pedis), commonly referred to as athlete’s foot, can be one of the contributors to smelly feet. It is not just the feet – a toe fungus may affect the nails. Fungal infections need to be treated with antifungals and the necessary measures taken to avoid it from recurring. Other foots infections, like a bacterial infection, should also be treated promptly with the right medication. Bacterial foot infections can be much more serious than athlete’s foot. If socks and shoes cannot be avoided then it is important to wear the right shoes and socks to minimize the factors that contribute to smelly feet. This means shoes that allow for ventilation of the feet, do not promote bacterial growth and fungal infections and will not retain moisture. Socks should be made of light airy material if you like to wear socks around the house without shoes. But with shoes, thicker socks made of natural fibers are preferable to absorb the moisture. Opt for shoes made of natural materials like leather or canvas and stay away from synthetic materials. 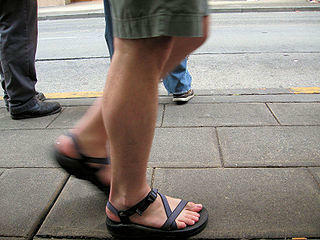 Sandals and other open shoes are ideal for everyday wear if you are not required to wear closed shoes. Hygiene is important but with smelly feet you may have to take further measures than just soap and water. Wash your feet at least 2 to 3 times a day and try to use an antibacterial soap that will minimize the bacteria on the feet. Make sure that you thoroughly dry your feet after washing to avoid fungal infections. Keep the nails short to limit areas for fungal growth. It may also be helpful to use an antiseptic solution on the feet daily. Antiseptics that are suitable for skin use can be applied on the feet to prevent bacterial growth during the course of the day. But do not overdo the washing and disinfectants. You may damage the skin on your feet and change the microenvironment in a way that can increase the chances of infections. There are a number of foot sprays and foot powders on the market. These have several different functions including keeping the feet dry and preventing bacteria and fungi that grow on your skin. In addition, these sprays and powders are often scented to counteract the foul odor from the feet. Foot sprays and powders should be selected carefully. It is important to speak to your doctor or pharmacist. These products should be used as directed. Do not apply excessive amounts or more frequently than the instructions indicate on the packaging. As with foot hygiene, overdoing it can worsen the situation. When all other remedies and lifestyle tips fail, it is advisable to see a medical professional. Your family doctor can help you with your problem but ideally you should see a foot doctor who specializes in the health of the feet. 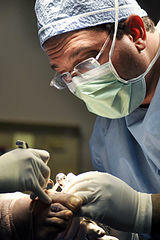 Foot doctors are podiatrists who train specifically in assisting patients with feet-related problems. It is important to follow the doctor’s advice closely. Smelly feet is not a problem that can be treated overnight. Even when it resolves, bad foot odor can return and you need to continue taking preventative measures to ensure that it does not start up again in the future.